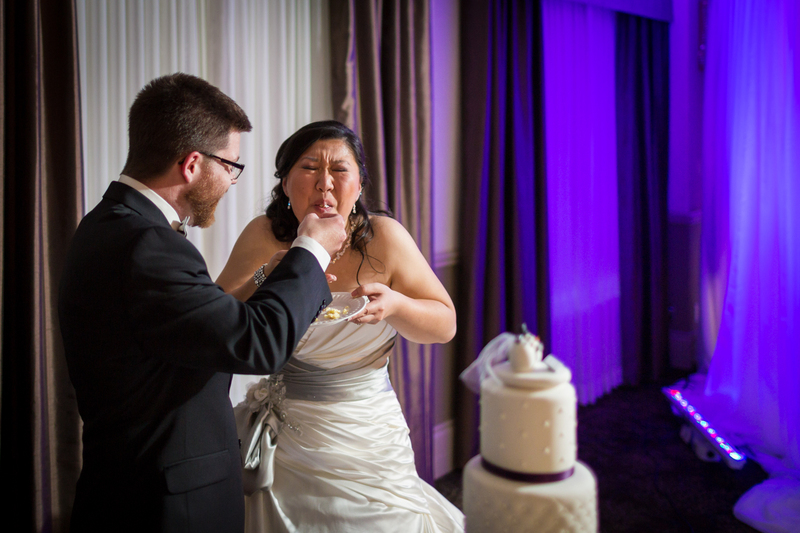 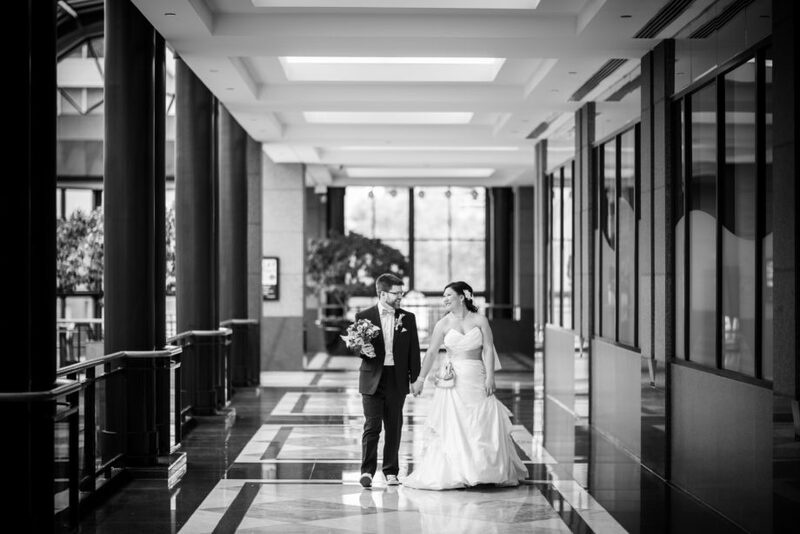 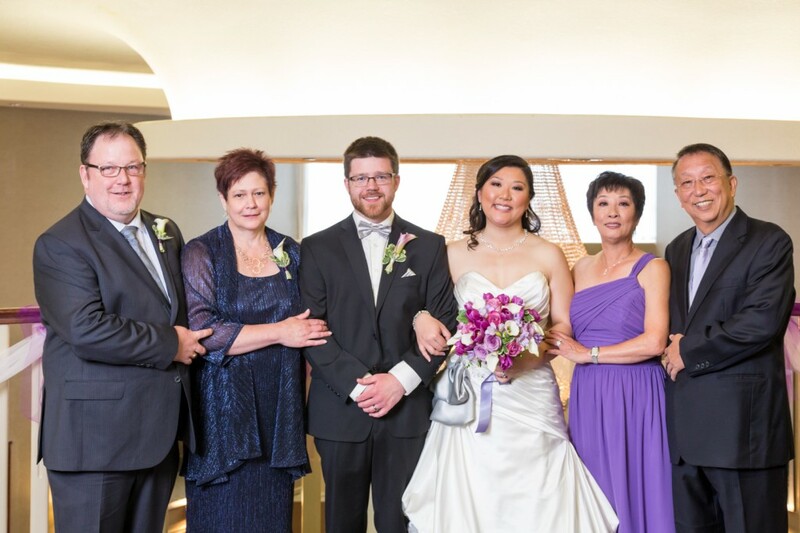 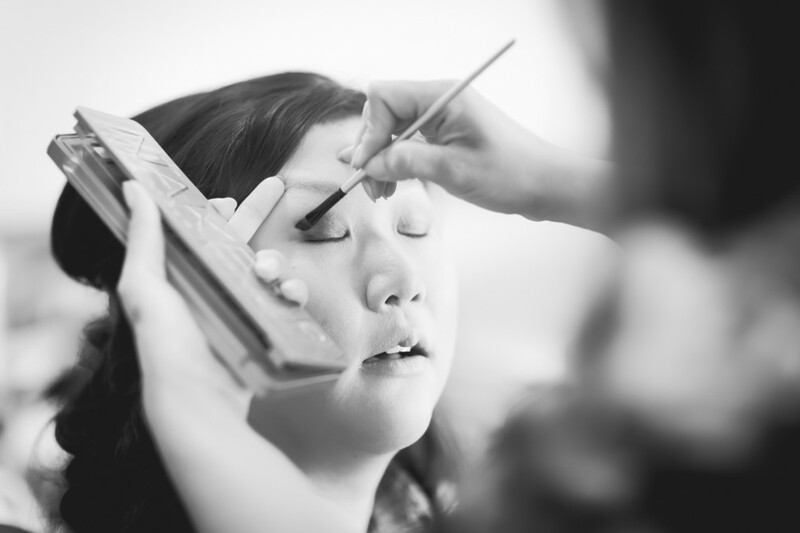 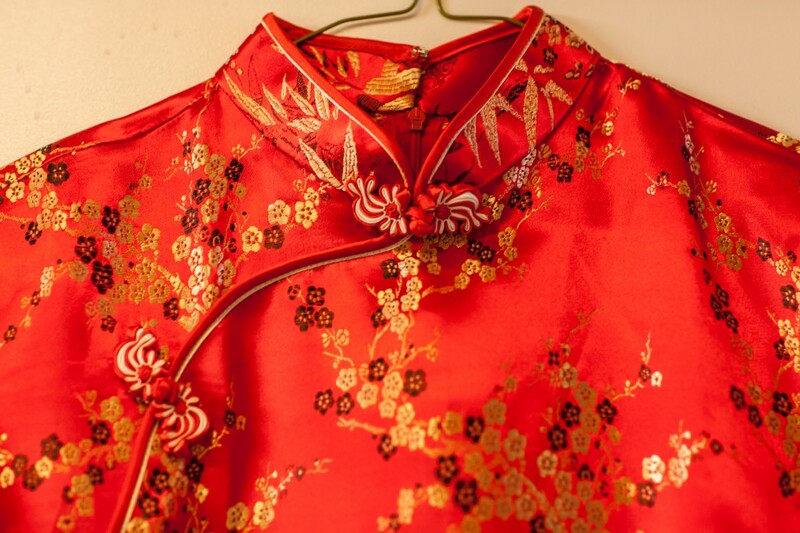 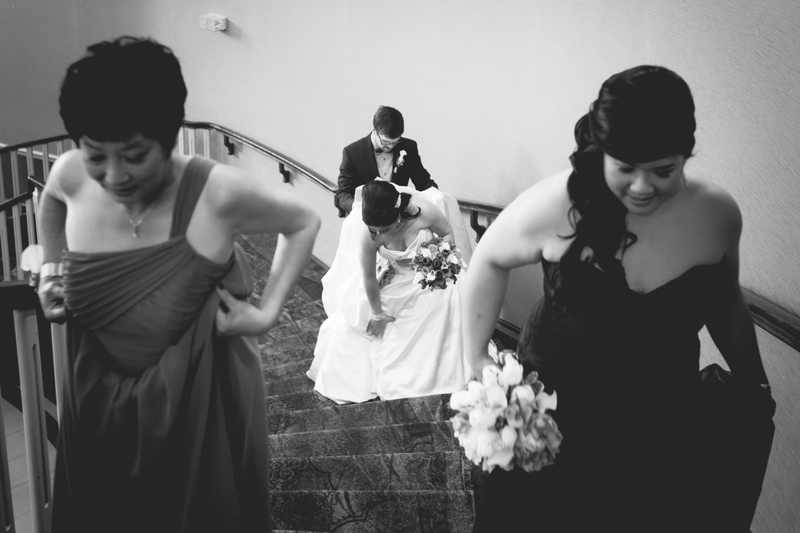 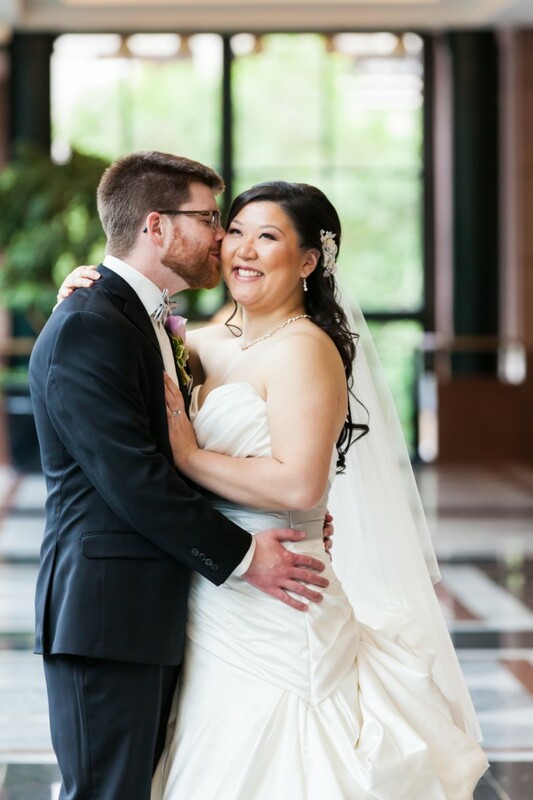 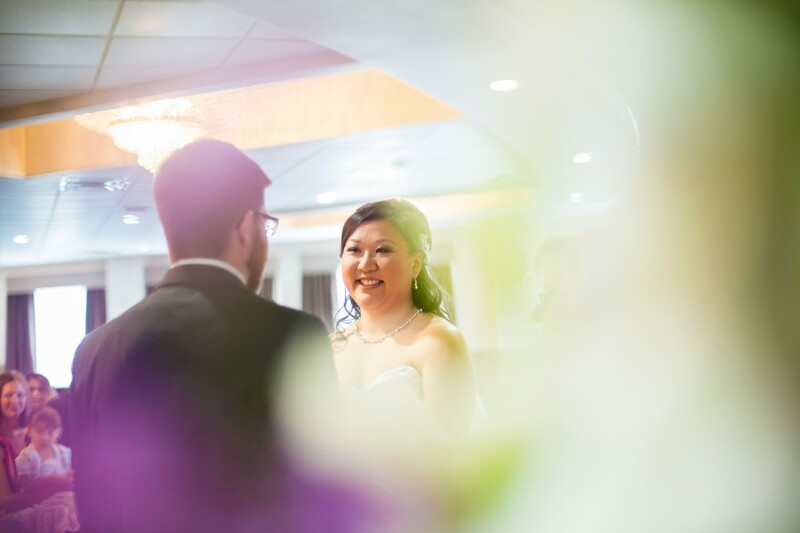 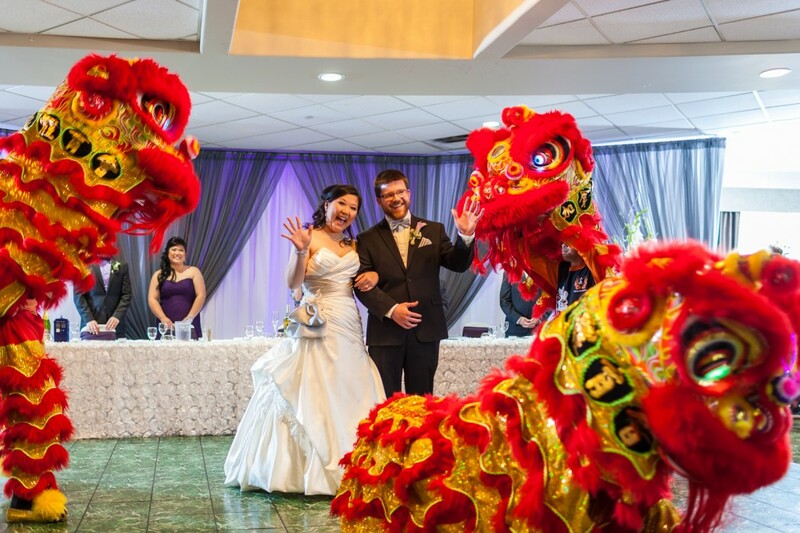 Jamie and Alex wanted their Chinese Canadian wedding to represent the coming together of two families, two cultures and two very awesome-nerdy people. 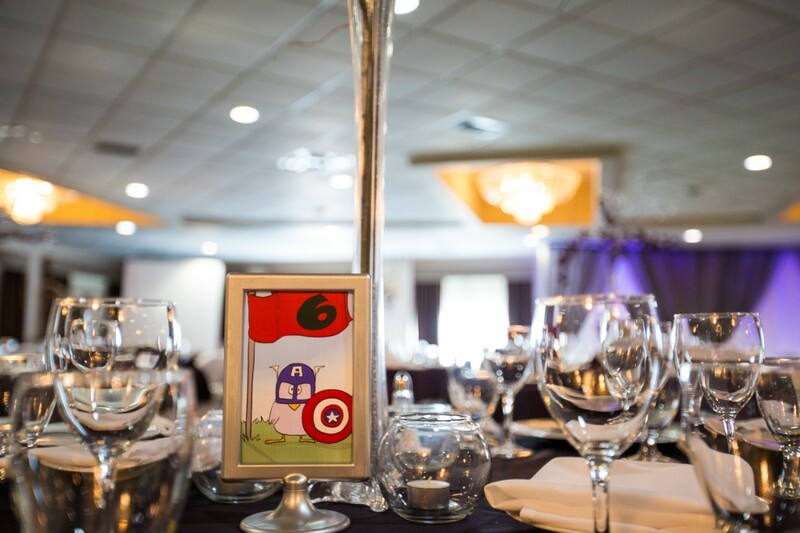 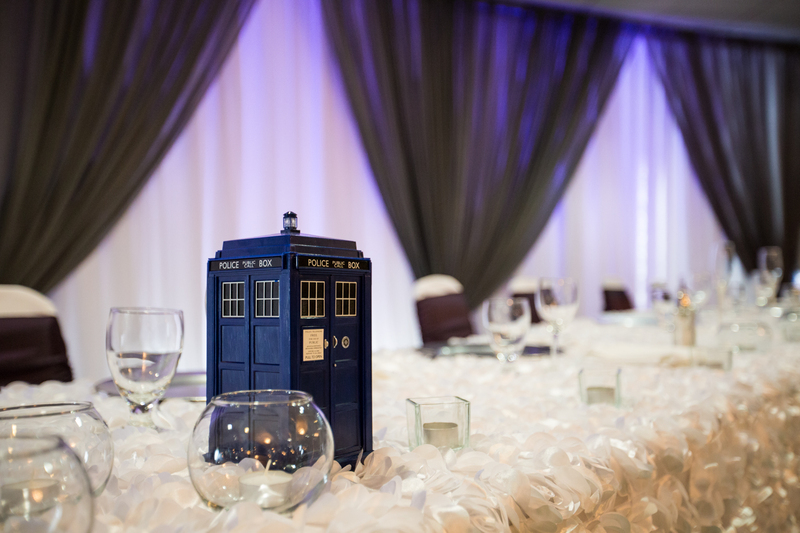 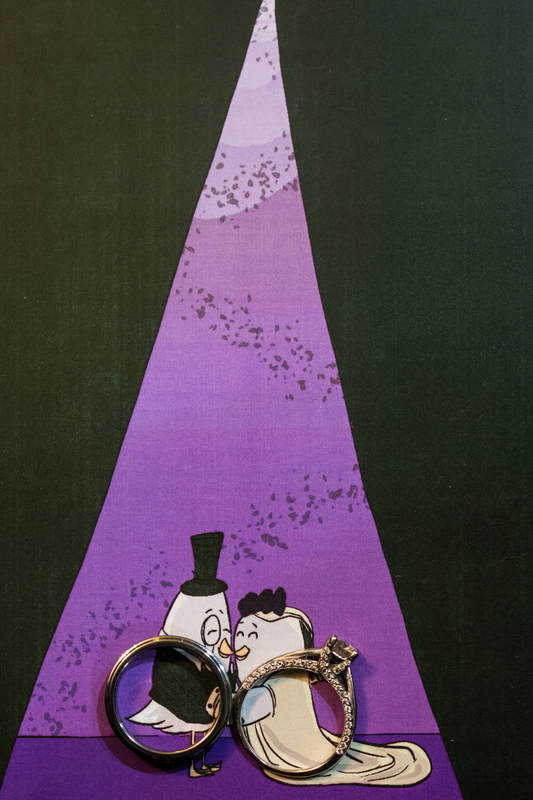 From the handmade replica TARDIS card box (renamed the “CARDIS”) to the hand drawn superhero birdie table markers, every moment of Jamie and Alex’s wedding day was infused with the love and support of family and friends. 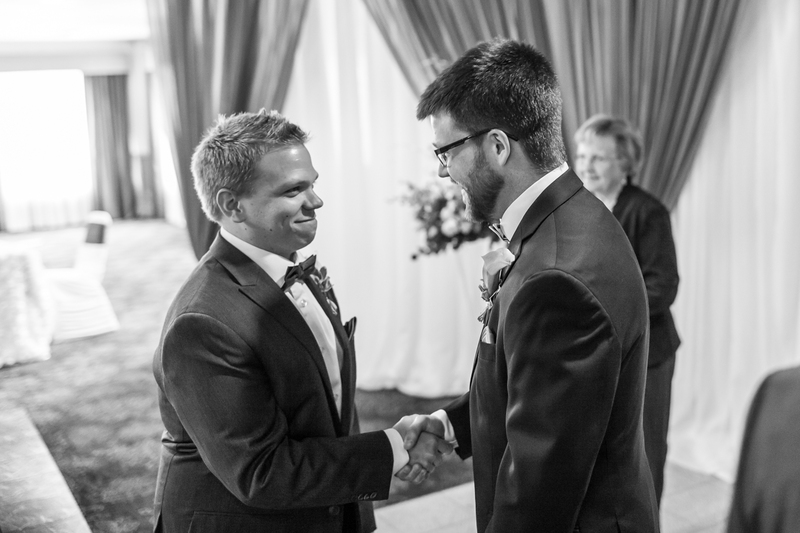 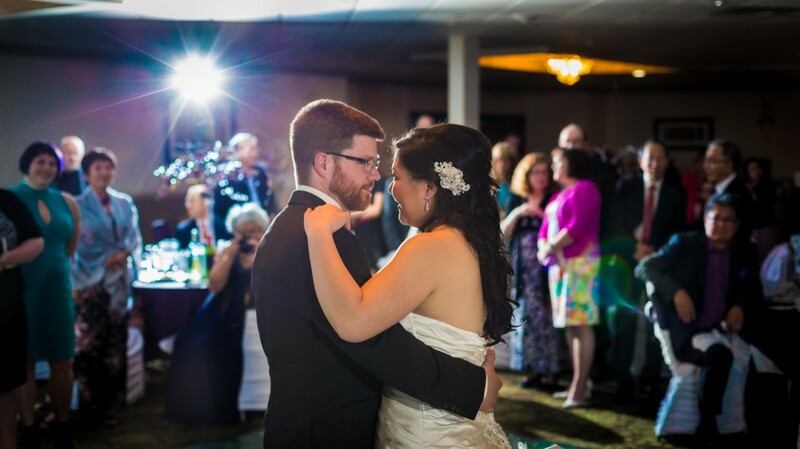 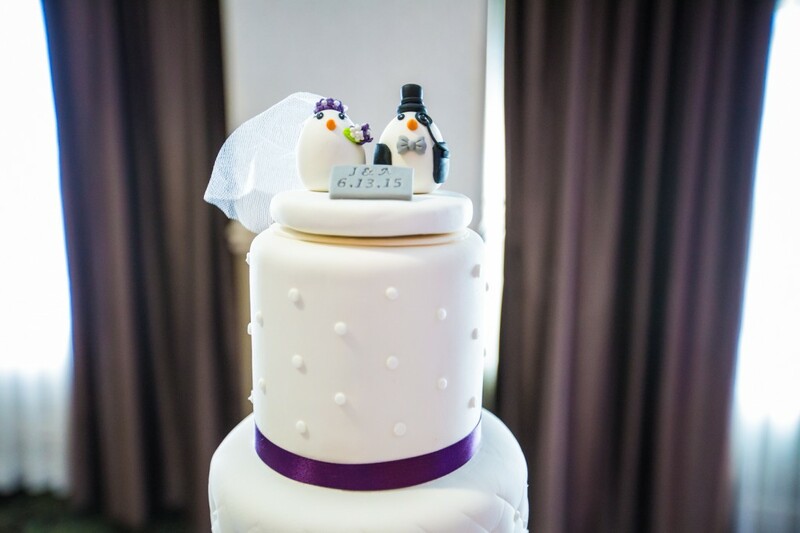 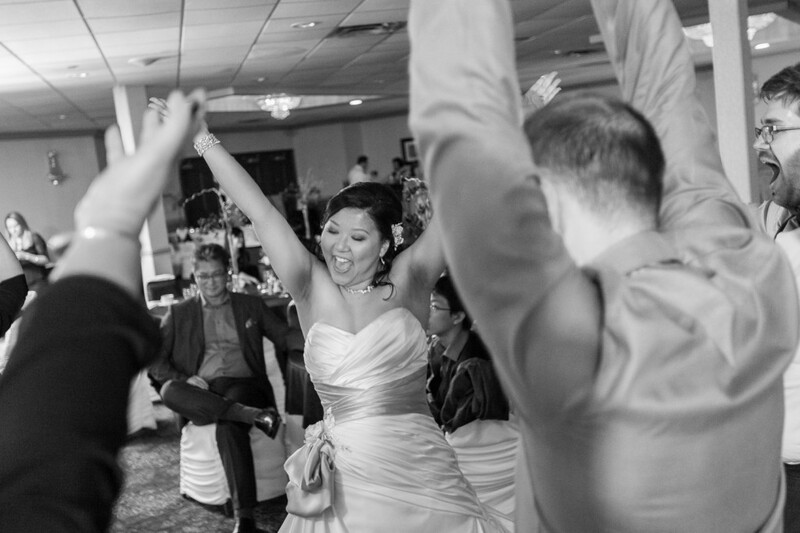 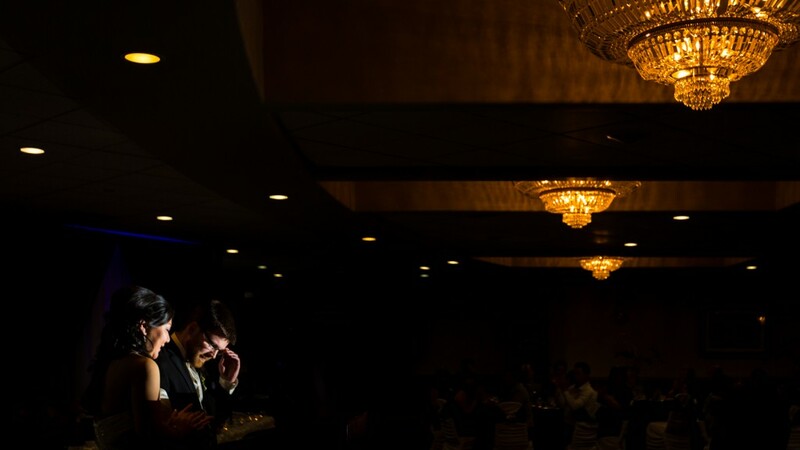 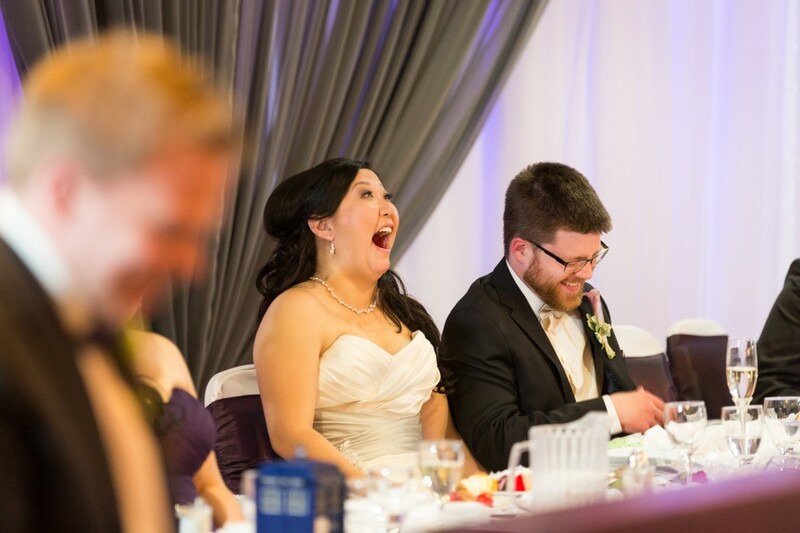 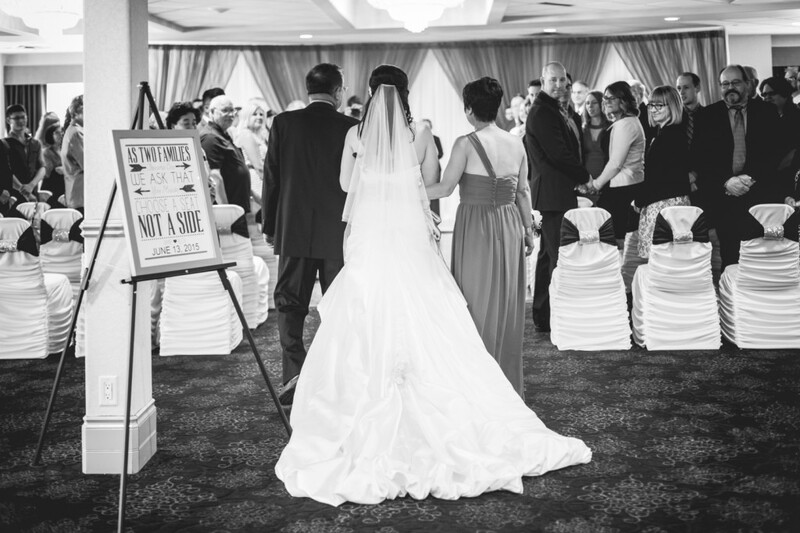 Guests gathered at the Sherwood Park Holiday Inn for the wedding ceremony. 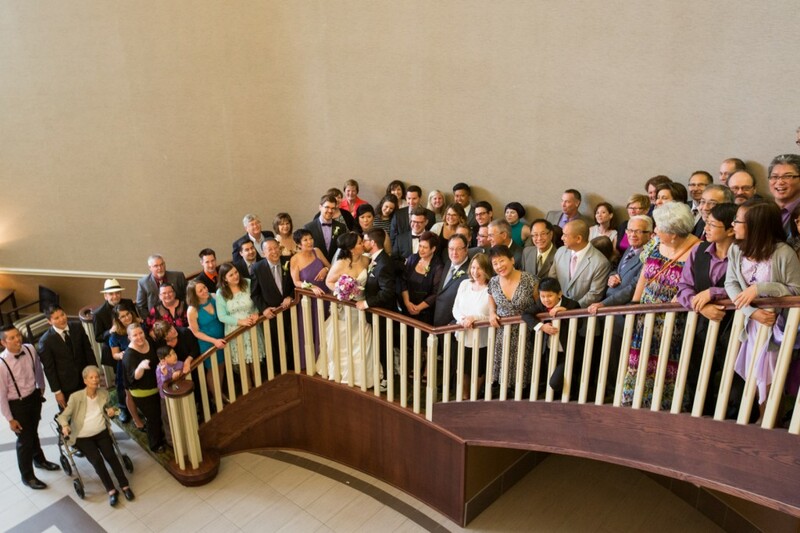 After the ceremony we gathered everyone for an epic group photo on the grand staircase in the hotel lobby. 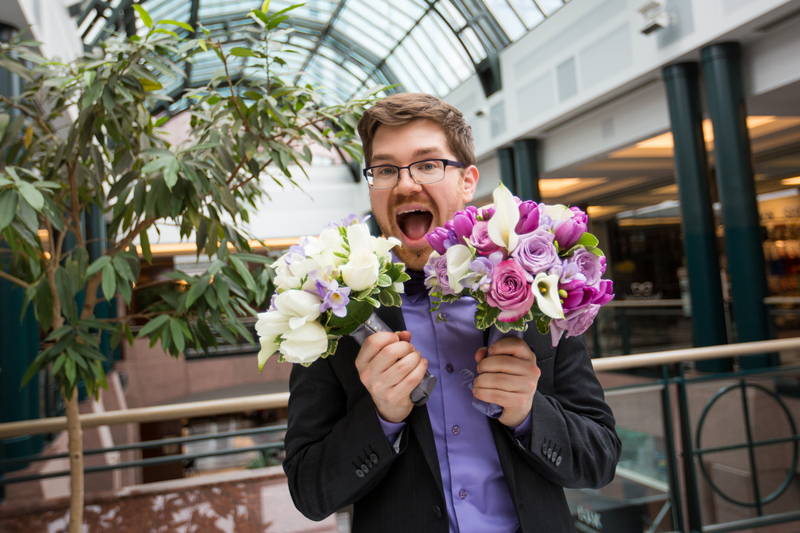 With forethought to the possibility of inclement weather, arrangements had been made for the portrait session to take place at Edmonton’s downtown Commerce Place. This proved to be the perfect location for Jamie and Alex’s modern downtown wedding portraits and a great way to spend a rainy afternoon. 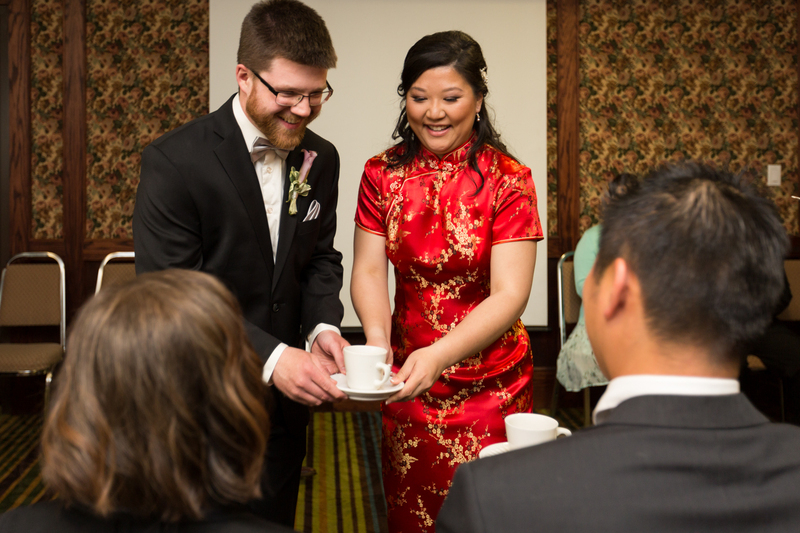 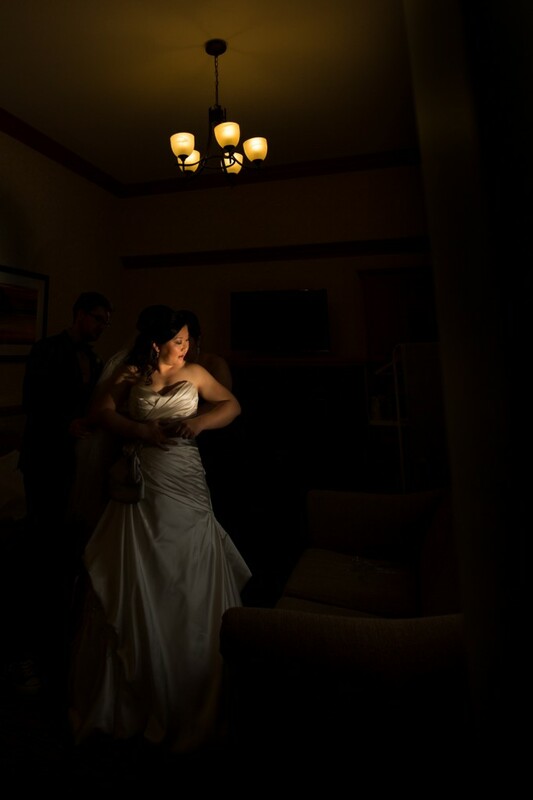 Returning to the hotel in Sherwood Park Jamie and Alex met with their families for a traditional Chinese Tea Ceremony to pay respect and show gratitude towards their families. 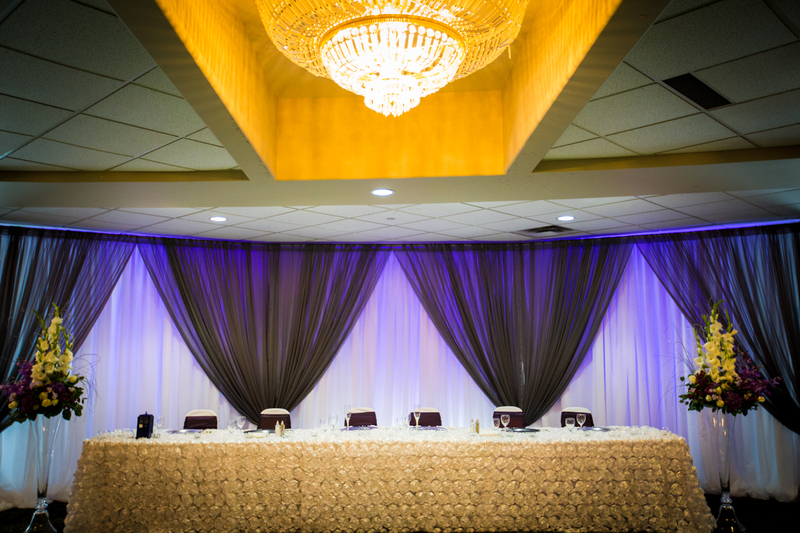 The ballroom was transformed into a beautifully decorated reception thanks to the talent of Jennifer Bergman Weddings. 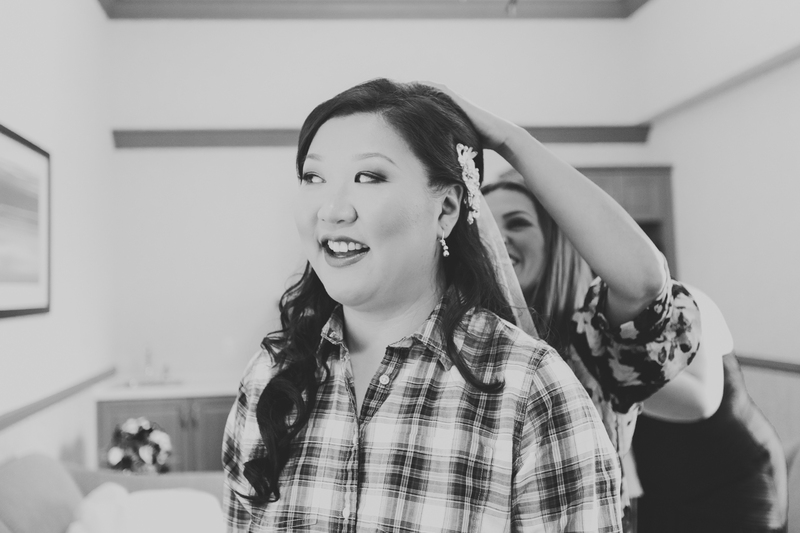 These ladies worked tirelessly to plan and produce a stunning wedding for Jamie and Alex. 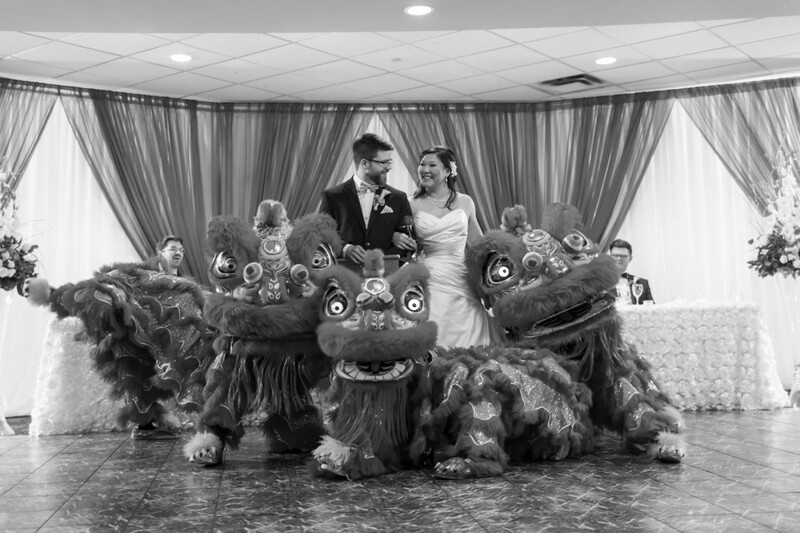 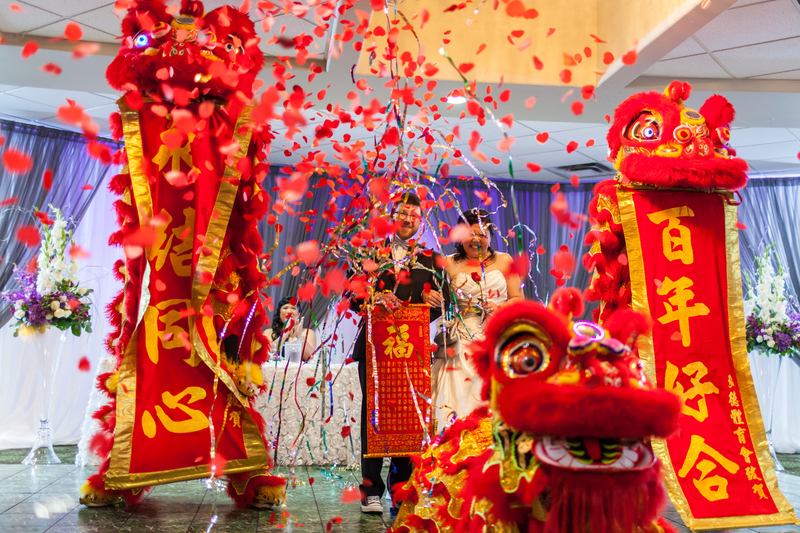 The reception was opened by the introduction of the wedding party who were followed in by a trio of Lion Dancers from Hong De Canada. 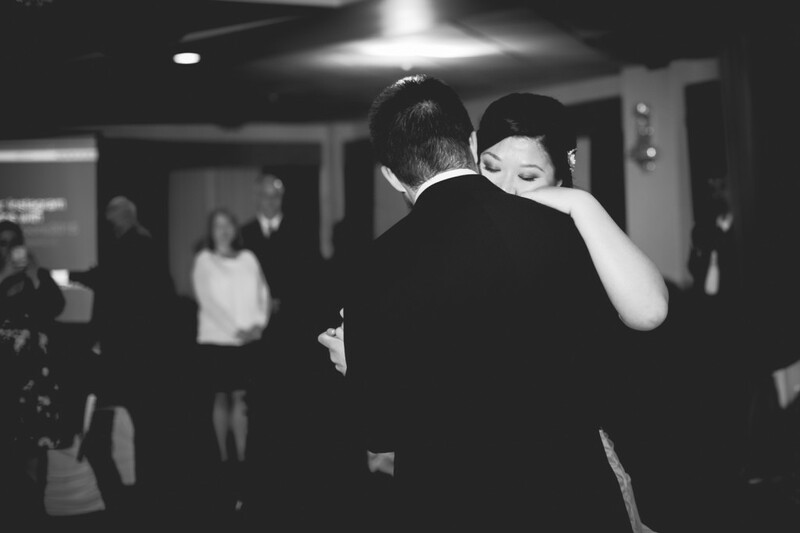 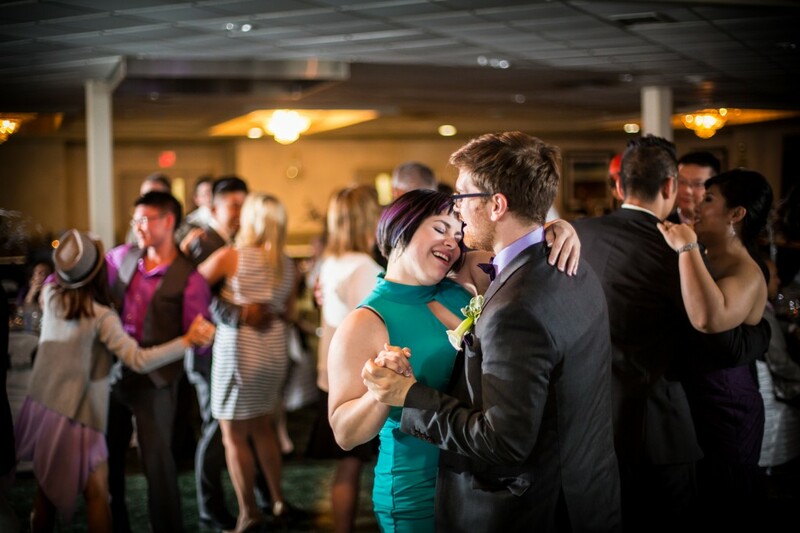 Jamie and Alex spent the evening mingling and dancing the night away with their family and friends. 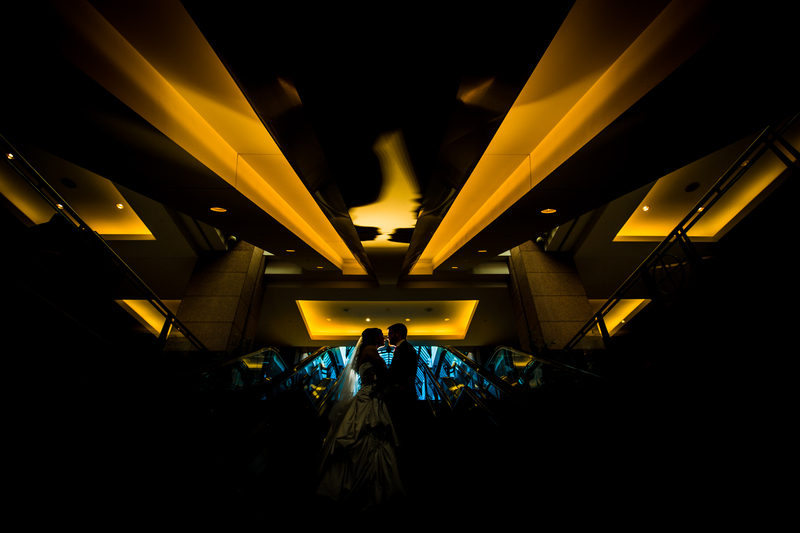 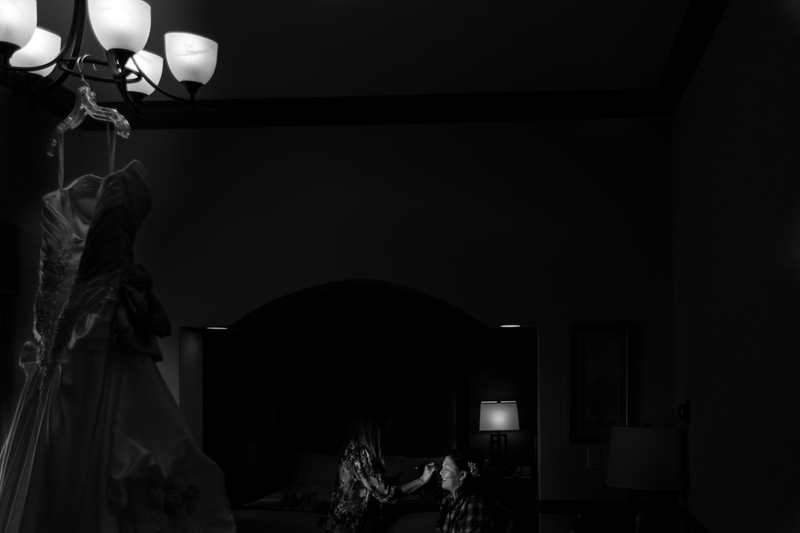 Thank you for inviting Deep Blue Photography to be part of your very awesome wedding celebration! 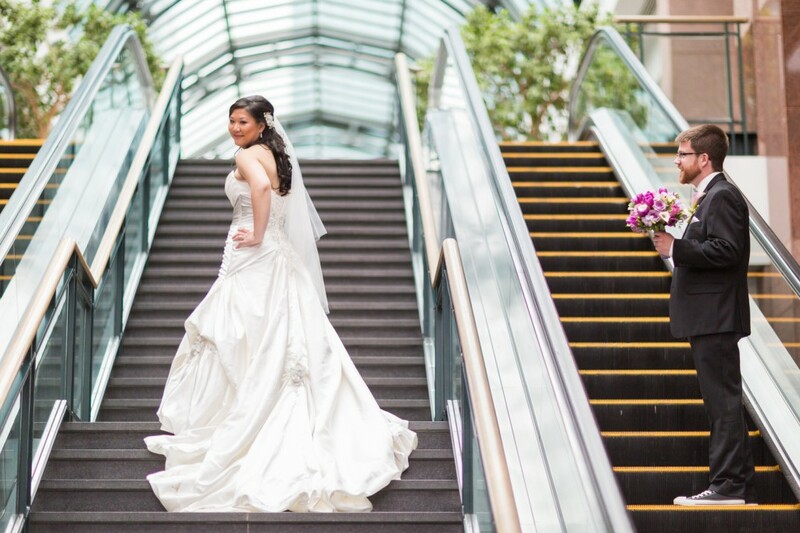 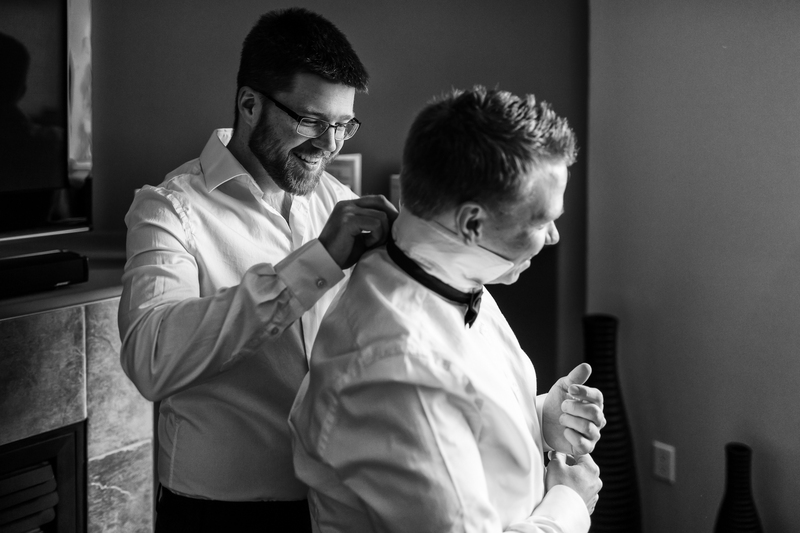 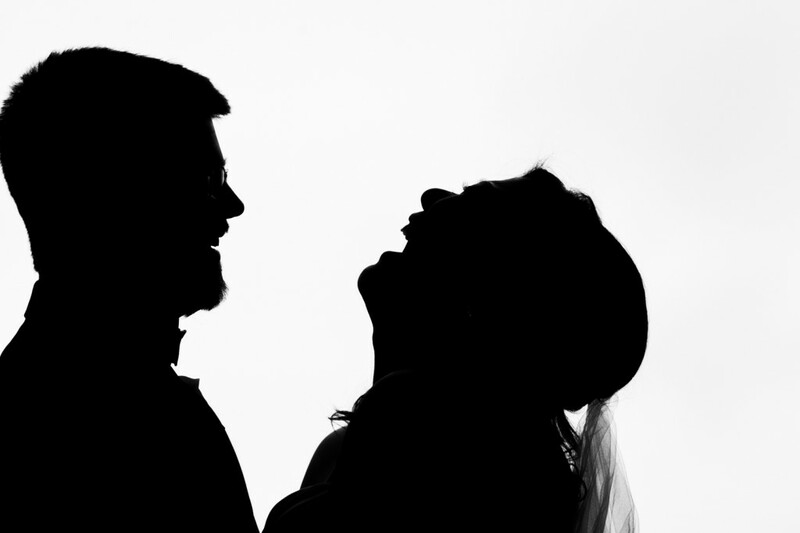 When it comes to planning your wedding, we always suggest having a few back up plans in mind in the event that the weather does not cooperate on the day of your wedding. 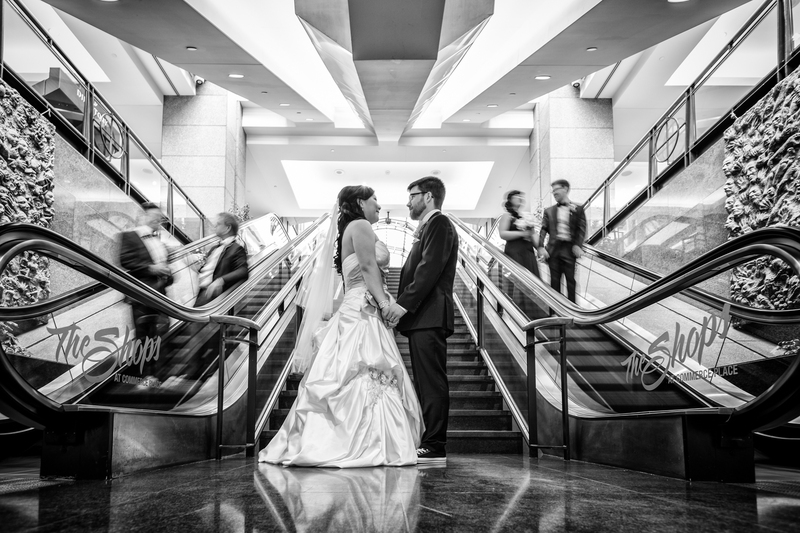 Depending on your day, you may plan for umbrellas, warm clothes, snow boots or an alternative indoor portrait location. 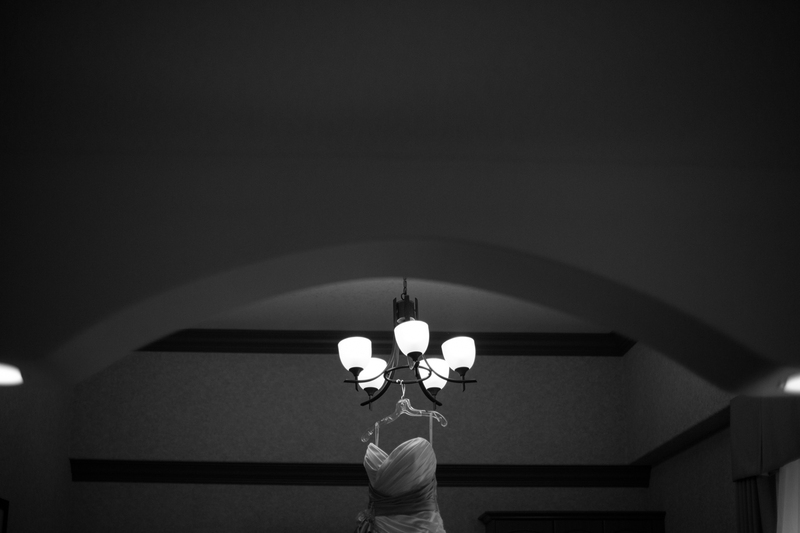 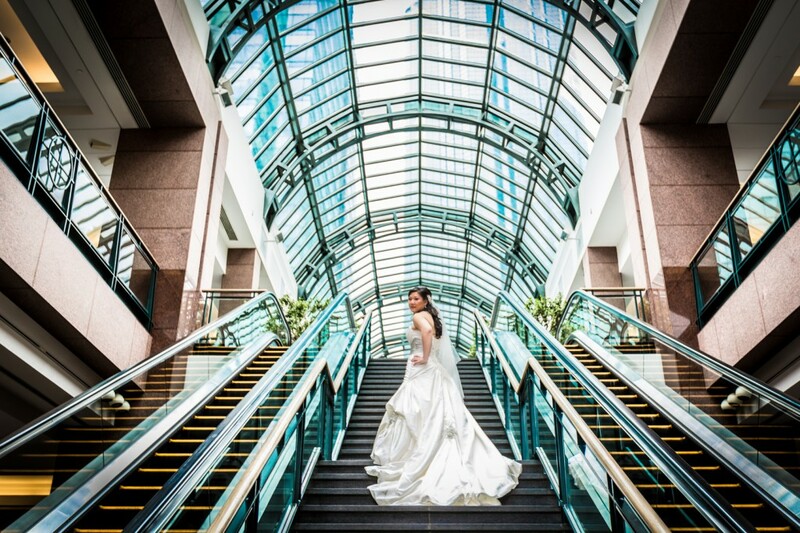 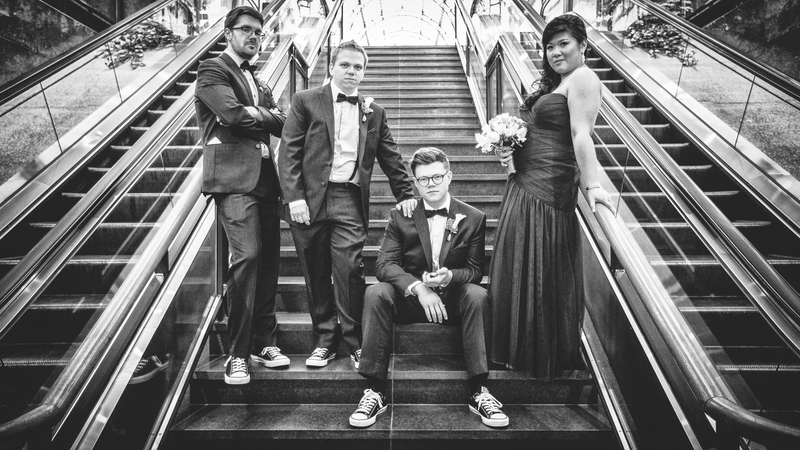 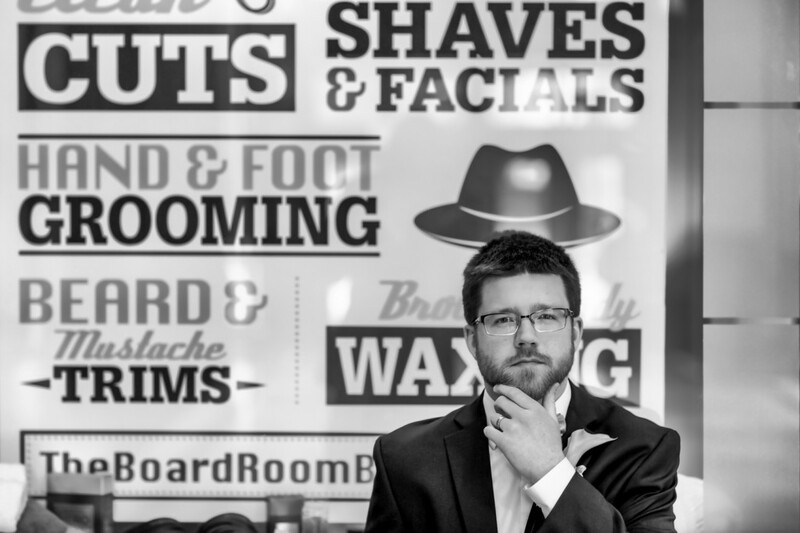 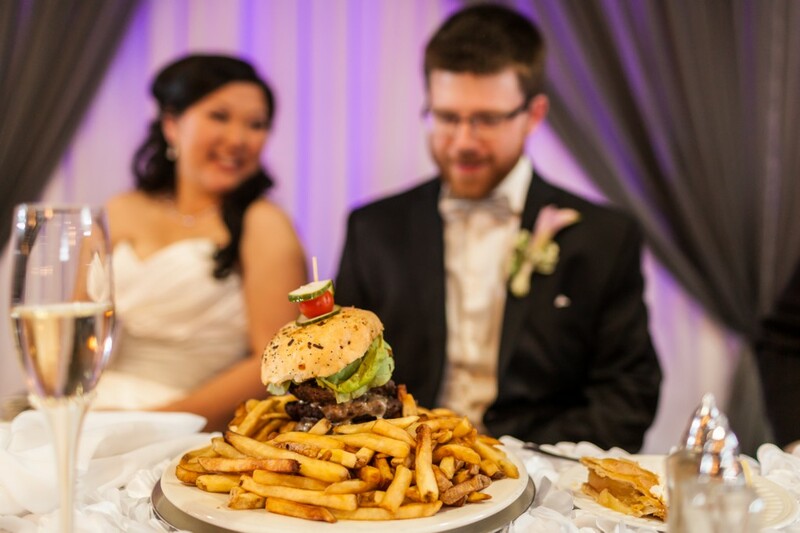 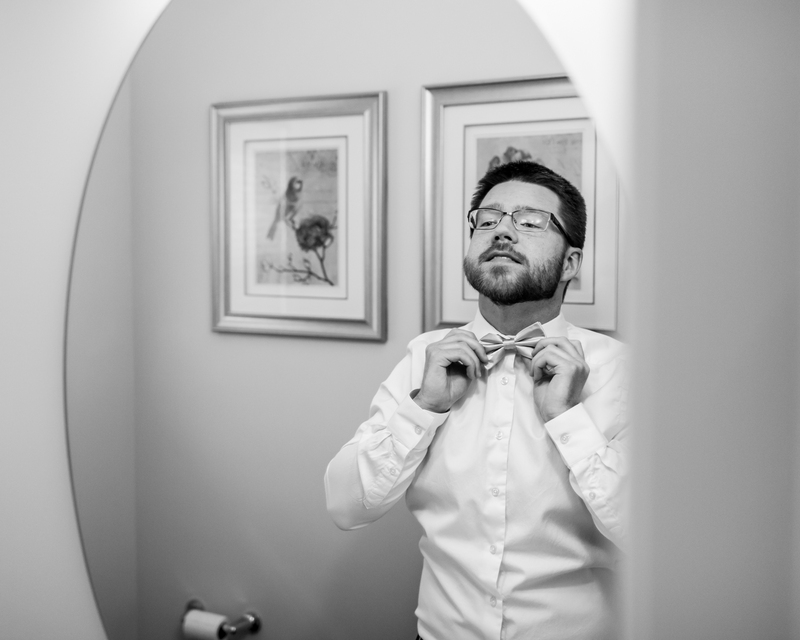 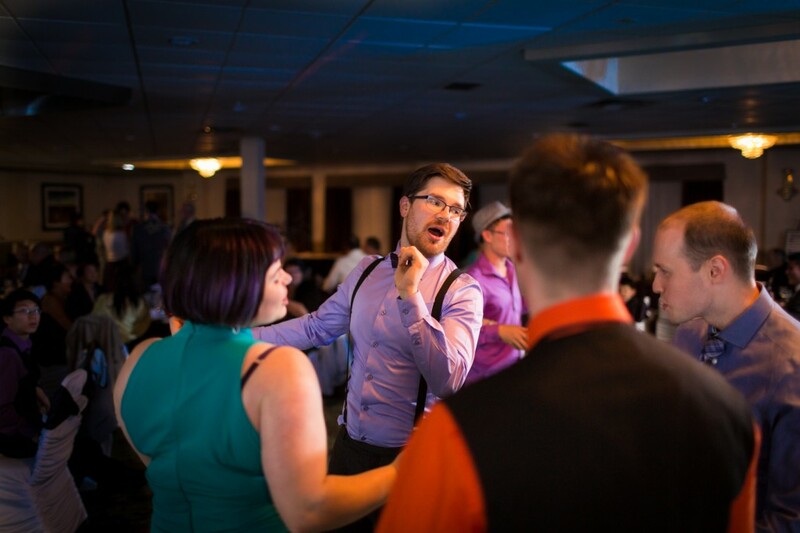 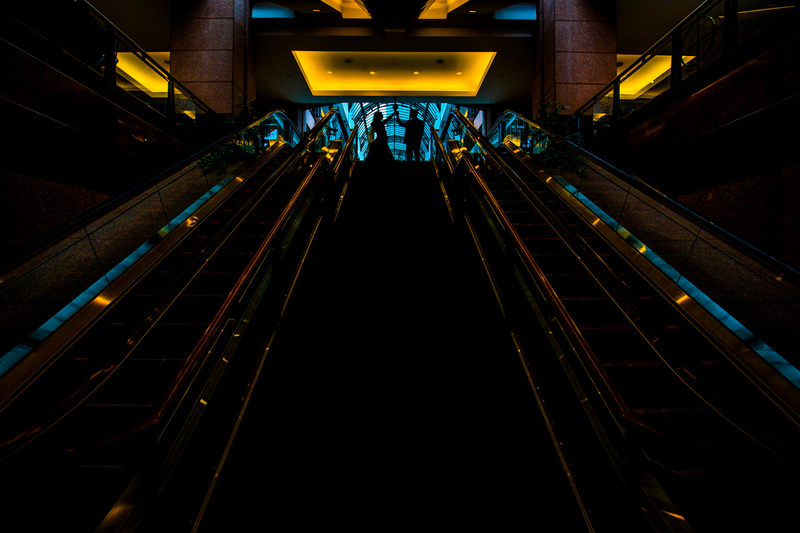 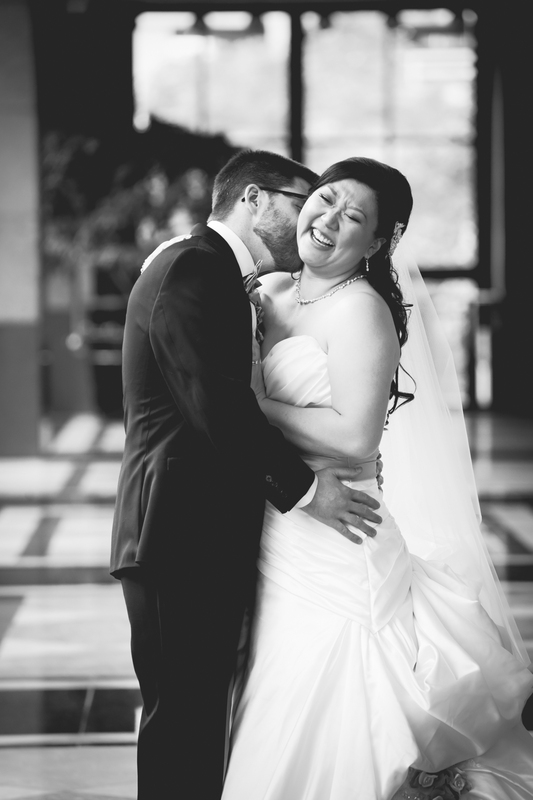 We have put together a list of great indoor portrait venues within the city of Edmonton. 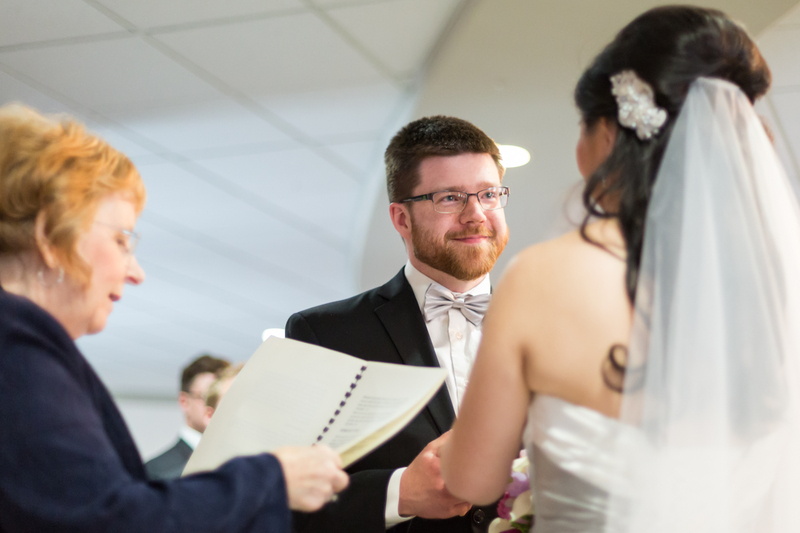 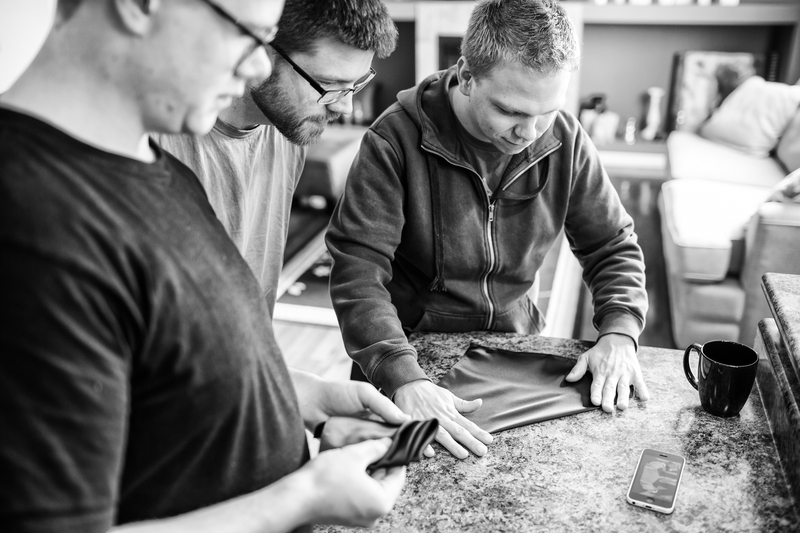 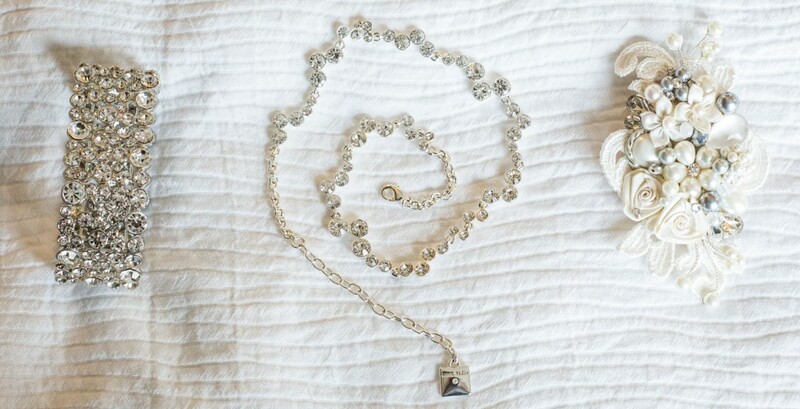 Check out our resources page and start planning today!